Cariñena | Catalan wine in a nutshell! Brilliant surface, a cherry red color with violet tones. Clean, bright, intense with high layer. The smell of ripe red fruit stands out together with the subtlety of wood, spices and toast. Aromas of high intensity. Stresses intense red and black fruit juice, light floral notes, spicy aromas, subtle and refreshing balsamic feel. The wine provides an elegant entry, following a challenge with volume, it presents a journey marked by spectacular soft and fleshy taste. 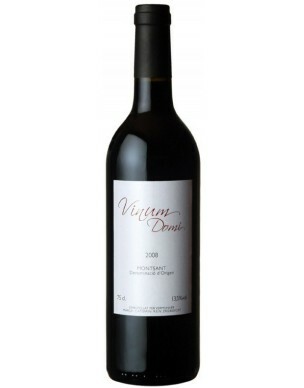 It is a concentrated red wine, fleshy, subtle and elegant. Long, fruity and persistent finish. A must buy wine, especially when it comes to price, quality and pleasure! The grapes were harvested by hand and brought into the winery in small cases of 15 kilograms. 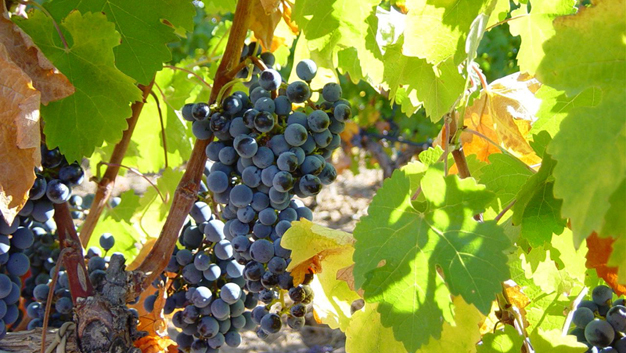 The Garnacha grapes were harvested during the first week of October, the Cariñena and Cabernet Sauvignon grapes were harvested during the second week of October. After crushing and destemming, the grapes were placed in stainless steel deposits for pre-fermentation at 14 degrees Celsius for 3 days to accentuate the aromatic expression before proceeding to the fermentation. The alcoholic fermentation took place at a temperature of maximum 26 degrees Celsius. The bleeding of the partially fermented must took place after aproximately 10 days. A good maceration permitted to extract a good dosis of tannin structure as well as anthocyanins. The wine received daily pigeage plus two remountings using a pump. 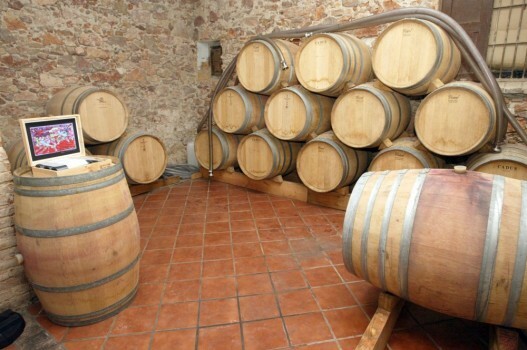 About 20% of the wine was aged for 8 months in wooden barrels and then mixed with the other 80% of the wine. Subsequent aging in stainless steel deposits before bottling. 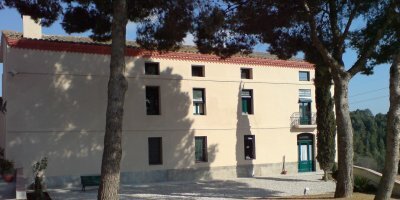 The winery of Maius Viticultors is located at the site called “Barranc de la Bruixa” which means Cliff of the Witch, in the municipality of La Morera de Montsant in the DOQ Priorat. The property is south oriented, the soil is a mixture of calcareous stone, gravel, rocks and of course licorella. The vineyard is composed by low yielding old vines, narrow trunks and elevated circus which need less irrigation and gives a very special character to the wine. In the very middle of the location lays the cellar, integrated in the environment, working with solar energy and rainwater. 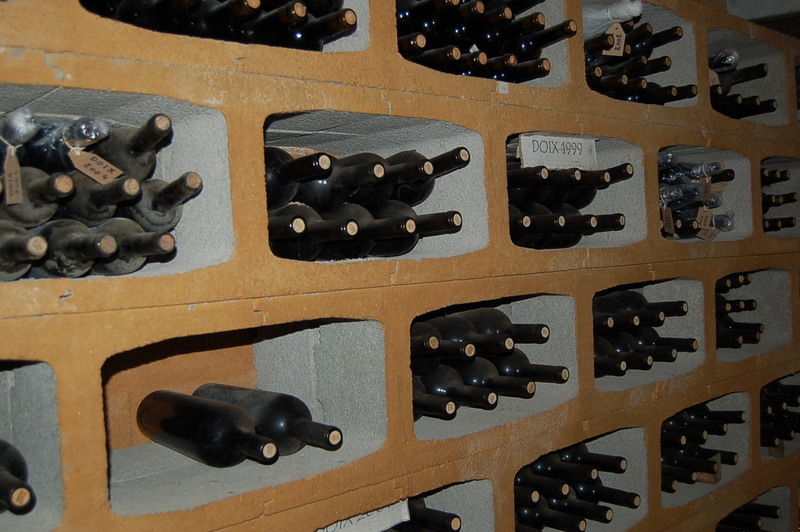 85% of the property is underground so this helps to stabilize the interior temperature, keeping it at 15º. The wooden doors, concrete walls and flat cover made of stone, are all materials that will age nicely and they are fully integrated in the landscape. Cherry red color with garnet rim and dense tears that stains the glass. Medium-high layers. 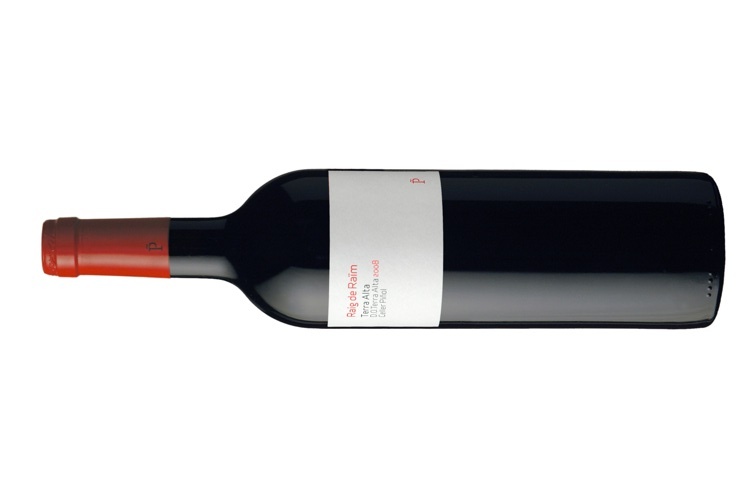 Delicate aromas of red fruit, cherries, spices, licorella and pepper. As secondary there was toast, dairy notes, some licorice and balsamic. Marked minerality and hints of herbs with a background of black fruit. The palate has a fresh entry with good body, silky tannins, good acidity and a fairly persistent aftertaste with hints of fruit jam and minerality. WOW, what a delicious wine! Heaven, I’m in heaven……, how can I not be, true enough that wine is not always wine but sometimes, like today, it is so much more. When it chooses to transmit a feeling that elevates you to heaven, you know it’s something above a red colored beverage, made from grapes! But the again, who brings pizza to a wine tasting? 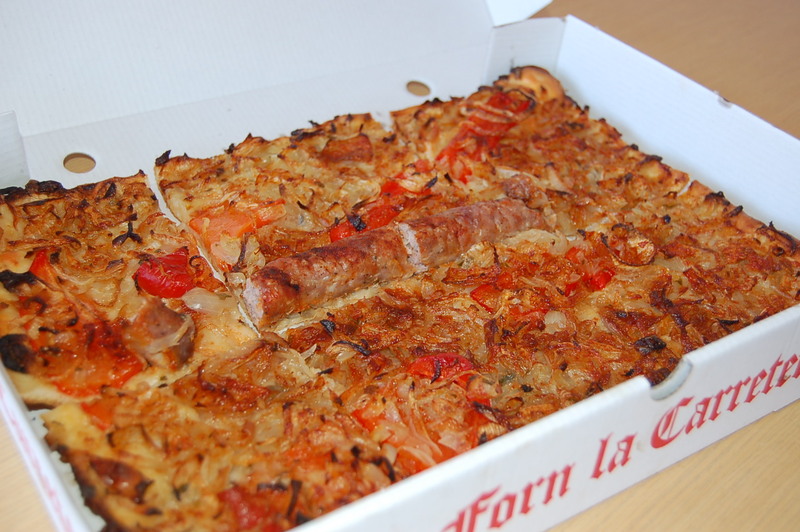 I’ll tell you who and let me rewrite that, not pizza, Catalan coca! Something different, offering delicious produces on a owen baked dough. Pizza? Call it what you wish, I want more! Valenti Llagostera, wine maker and owner of Mas Doix starts us of with the wine tasting of the younger wines together with coca. He is slightly late as he had to stop at the local coca-place to pick up the two versions of coca, available this day. After a well needed breakfast intake of, wine and coca we continue to the vineyards, which are amongst the oldest in the Priorat. When in Rome…. 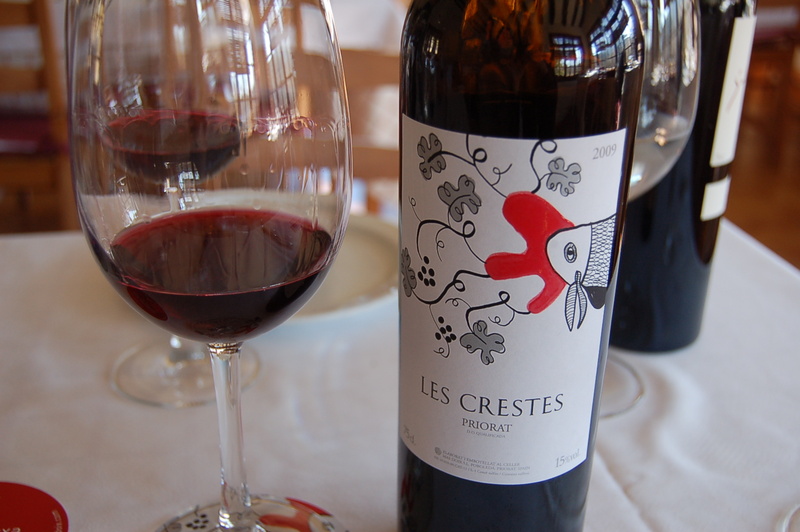 Later, we would continue to try the aged reds at a local restaurant, Porta del Priorat, just outside the village of Poboleda, to enjoy hearty stews as that is what’s considered to accompany the wines best. And the Coca (pizza), yes I will have that again and yes it works well with the wine! Five generations of the owners’ family have had ties with viticulture and wine making, Mas Doix is not the new kid on the block! But it was only in 1998 that Josep María Doix and his cousins, Ramón and Valentí Llagostera, decided to create the bodega while harvesting grapes in centuries-old vineyards. With this effort, the new era of the family tradition was reborn, taking up the hard to follow accomplishments from the 19th century when the wines made by Jaume Extrems Doix won Gold and Silver medals in Barcelona and in Paris during the World Fairs in the 1870s. The Phylloxera plague dealt a severe blow to the business, but staring the evil bug in the eye, the family was able to quickly replant the vineyards with native rootstock of Garnacha and Carinena. The grapes were taken to the Poboleda co-operative and made into wine up until 1999 when the new bodega’s first vintage was released. Currently, the family members, who are all very aware as well as extremely proud of their inheritance, divide their time between vineyard husbandry, winemaking and marketing. 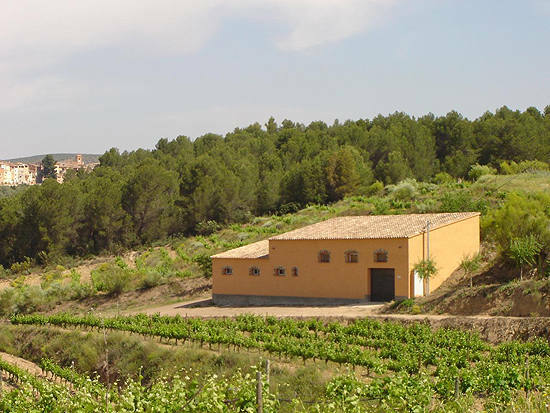 Mas Doix is still a small and modest bodega, whose philosophy is based on the utmost respect for the region’s winemaking tradition, and whose aim is to transmit the true essence of Priorat via its wines. The vineyards are located at 350 to 600 metres above sea-level, unfold at the foot of the sierra del Montsant on steep slopes with poor slate soils (called locally ‘llicorella’) in a region dominated by dry, rigorous microclimates. However, their location also benefits from the fresh north-westerly breeze, which lowers temperatures and gives rise to a slower ripening process and, in turn, to a late harvest. 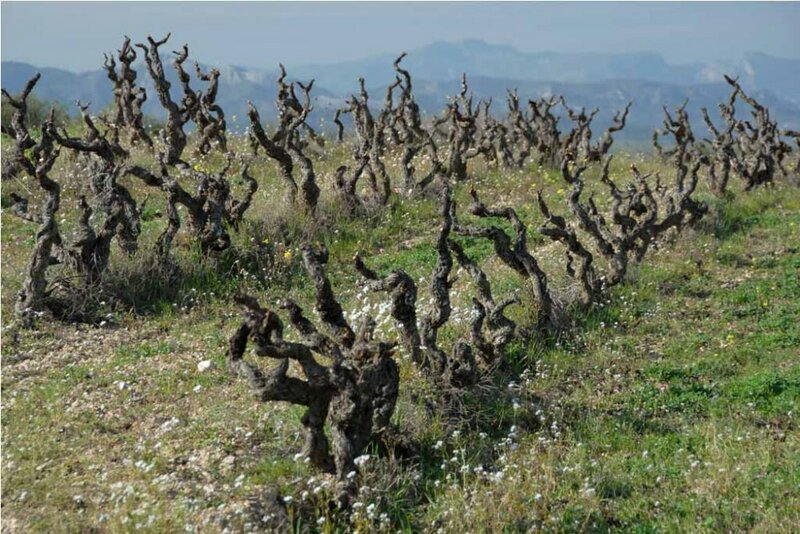 Low-yield vines lead to limited production, yet the wines made at the bodega are fresh, balanced and elegant, with the subtle mineral charge typical of DOQ Priorat. 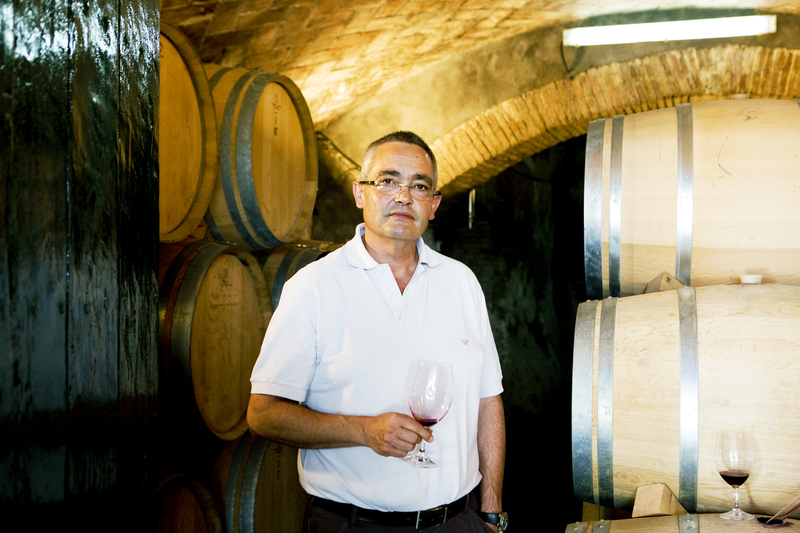 Valentí Llagostera explains that: “They are distinguished wines, made to be enjoyed, to share with friends and serve as a starting point for good conversation – wines which are an essential part of a certain way of life”. The lunch was memorable but the wines were heavenly and never to be forgotten. 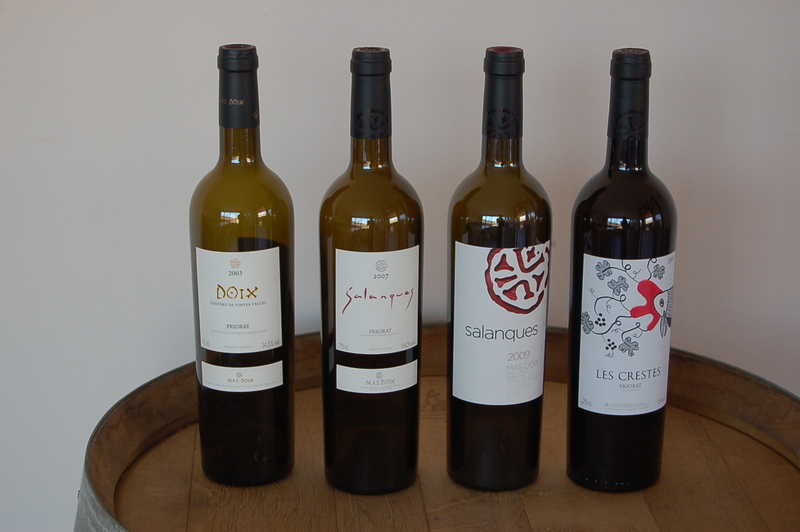 Got to try the Les Crestes 2009, the Salanques 2006 and the Mas Doix 2008. Each with its own personality, and if they were to be tried separately, without comparing them to each other, all would have superlatives written all over them. Purple red color with dark cherry red edge. Lovely, seductive and elegant nose of mature red and black fruit. Black fruit jam, nice roasted notes, balsamic and Mediterranean herbs. Mineral and spicy background. In the mouth it is juicy, concentrated, but quite soft. Greedy and persistent. Good structure. Very pleasant and highly drinkable. 100% Carignan from vines aged between 10 -12 years, planted on slopes facing west. at an altitude of between 300-500 meters above sea level. Aged for 12 months in oak barrels. 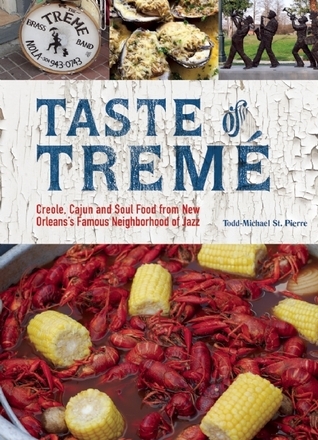 …., if you haven’t watched Treme, the series, you should! 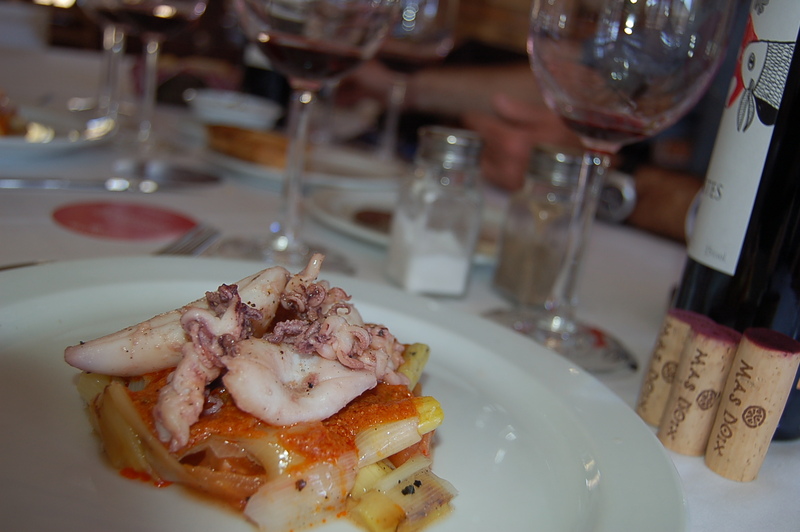 Likenesses in the culture of New Orleans, the food and the music can be, with imagination, related to the Priorat wines. They carry the same kind of Ooh Poo Pah Doo, makes your body want to move and dance. When watching an episode of this very fine series, there should always be a open bottle of Priorat red available, makes it so much better! 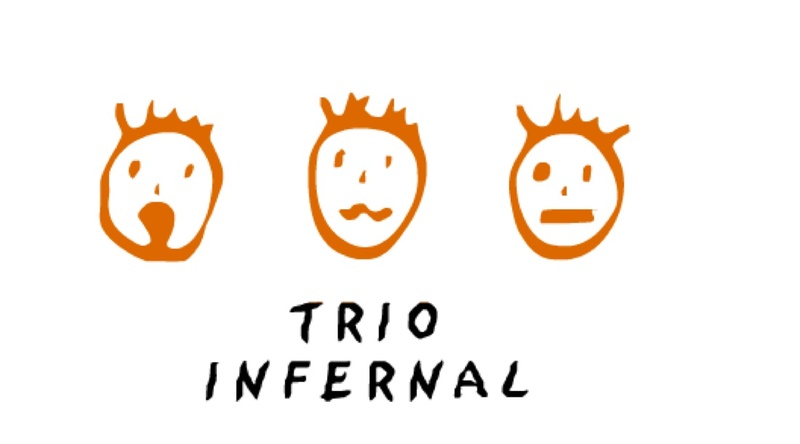 Trio Infernal wines are highly suitable for these occasions. Thanks Bacchus it’s Tuesday, let the good times roll! 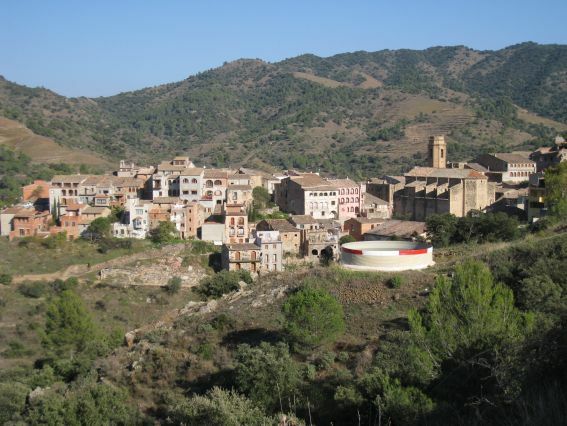 The village of Torroja del Priorat is located in the heart of the Priorat and is the place where the headquarters of the Regulatory Council of the DOQ Priorat is located. 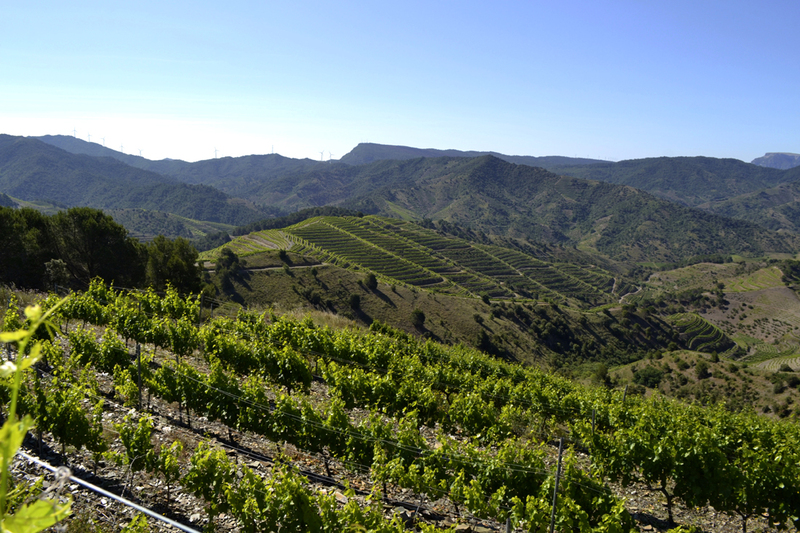 The environment of Torroja has a very irregular topography, the presence of slate there is widespread and summer time here is more pronounced in terms of contrast, than n other parts of the Priorat. These features make the wines from Torroja very characteristic, so it is no surprise that some of the best/heaviest (read different) wines come from this place. The name comes from the Red Tower, a watchtower built by the Arabs in the tenth century and first mentioned in 1270. The document in question is the certificate issued to the population of Poboleda, in which the term Torrogia is mentioned, and in the days part of the Carthusian priory of Escaladei. The parish church is dedicated to St. Michael. It is a building consisting of three ships built in the eighteenth century. It is in neoclassical style with Baroque elements. The body of the temple was built in 1800 by Joan Pere Cavaller in French romantic style, with Catalan elements. Very few parts of the old fortifications remain. There are small traces of the Saracen tower that gave name to the village. The door and a gate of an antique prison are also visible. Torroja celebrates its festival on September 29, the feast of St. Michael. One of the best days to visit Torroja! The main economic activity is agriculture. Highlights the growing vines , almond , hazelnut and olive. Agricultural cooperative has existed since 1934. How many people live here? 134! How many of them drink wine? 135! Some of the wine drinkers also tend to be wine makers! Surprise, surprise! 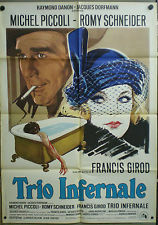 The movie, Le Trio Infernal, is based (loosely?) on a true story about the attorney Sarret. Making the acquaintance of two lovely german sisters Philomene and Catherine Schmidt, Sarret seduces them both. He then invites the sisters into his latest scam: marrying and murdering gullible men and women, then cheating their insurance companies. 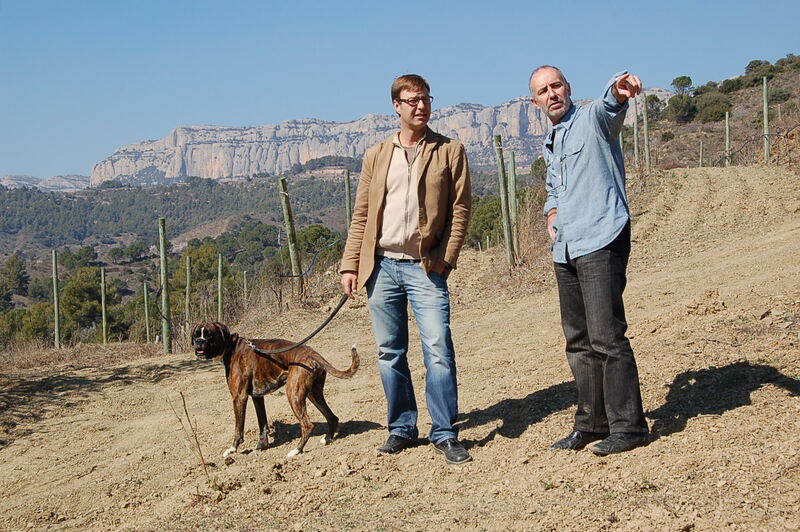 You just can’t trust the French….., unless they make wine in Priorat! 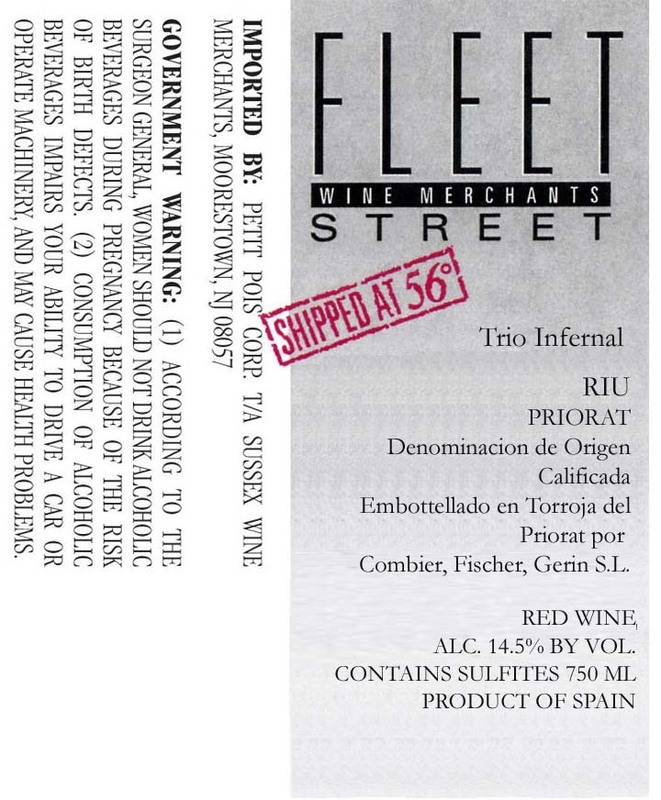 I have no clue whereas the winery Trio Infernal has any such scams going, what I do know is that their story is 100% true! 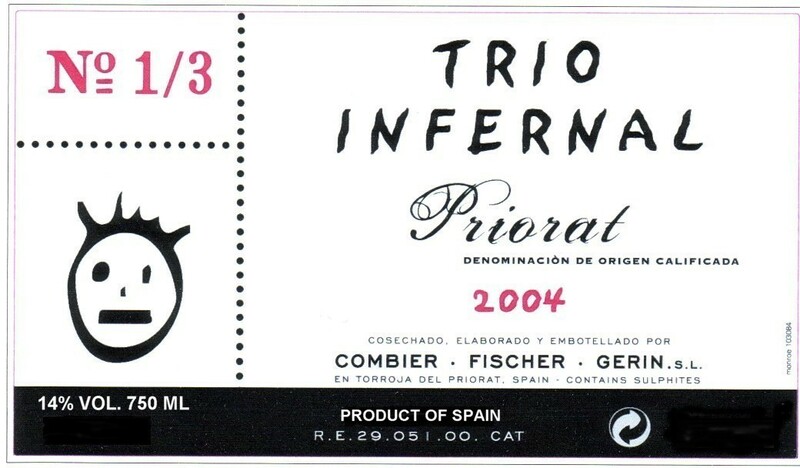 THE TRIO INFERNAL is a project set up in the Priorat duirng 2002 on the initiative of three renowned vintners of the french Rhone Valley. It is based on twenty year friendship and the desire to create a common project in a new viticultural region known for having the potential to grow great wines. The vintners are Laurent Combier (Domaine Combier, Crozes Hermitage), Peter Fisher (Chateau Revelette, Aix en Provence) and Jean-Michel Gerin (Domaine Gerin, Cote-Roite). Fascinated by this region, they decided to settle in the heart of this valley, in Torroja del Priorat. Their wines showcase the delights of Priorat’s signature grape Garnacha, alongside Carignena (the trio coming from Rhone, that makes sense!) and sum up the virtues of contemporary Spanish winemaking; They are Old World (French) in the soul, tradition-bound wines, yet at the same time they are innovative and provocative. 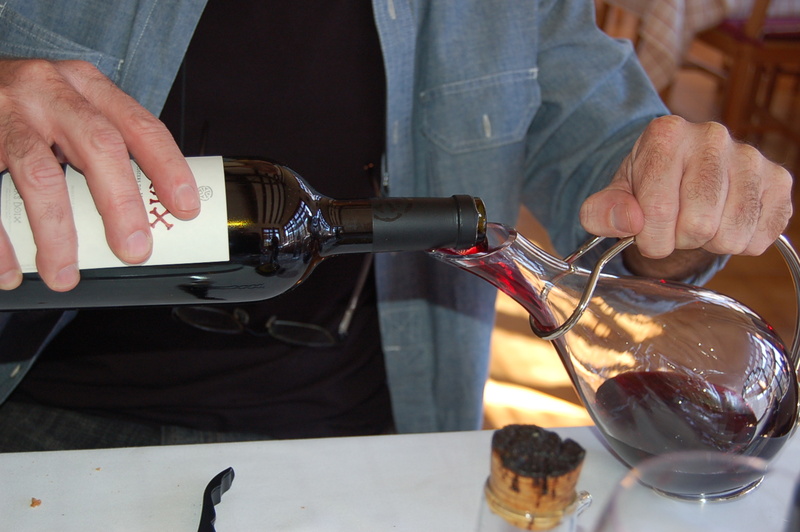 They combine the flamboyant, fruit-forward excitement of modern winemaking with the complexity and power of old vines. 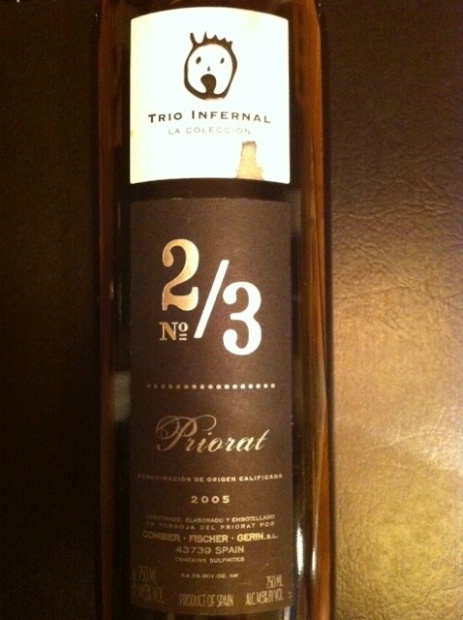 But it is so much more and exemplefies the Priorat very well! The whole wine making wolrd is gathered here, from the start there was Rene Barbier, Alvaro Palacios, Carles Pastrana, Daphne Glorian etc. etc. And it just continues, everybody want s too make Priorat wines and for some it’s like shooting a elephant in a very small room. A can’t miss siutation, or that just might be what they and everybody else thinks!?! 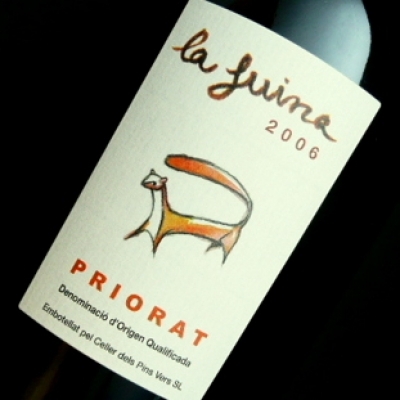 Only five years later, the Trio was recognized as the leading producer in Priorat. Raving reviews, article in every noteworth wine magazine and top scores all over the board. 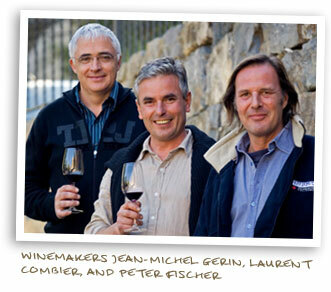 By 2007, Clos Erasmus, Clos Mogador, and Alvaro Palacios found their match in Combier, Fischer and Gerin. The same year they even considered expansion. 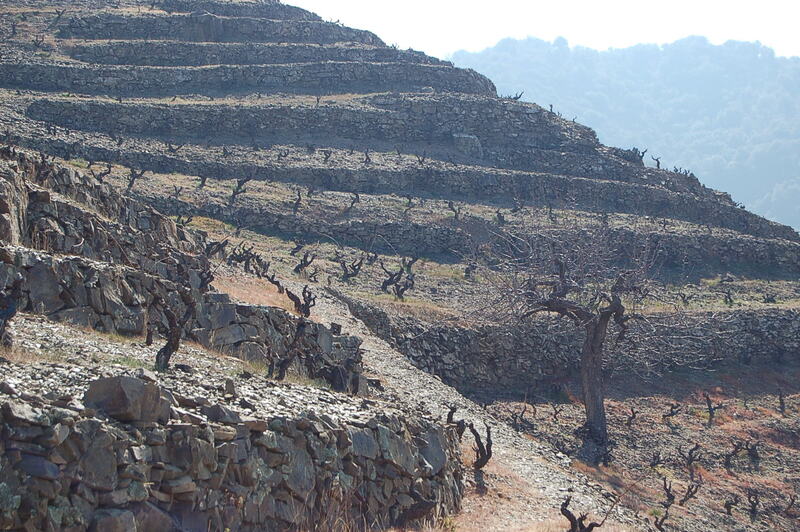 It was the gold rush era in Priorat and the Frenchies were carving it day by day. Then…., the bubble bursted. 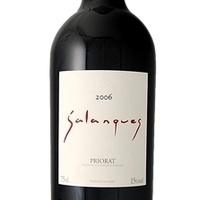 The crisis hit hard throughout Spain and Priorat was no exception. But it is only the man without the plan that suffers, the Frenchmen had a backup plan. Sensing or knowing the crisis would hit, as is the case historically, they had a backdoor. Setting aside part of their, by the time, well renowned 1/3 series and focusing on their “crisis management” wine. The Riu was born out of hardship and blended with the, during that time, hard to peddle 1/3 series. The old vines from the 1/3 giving body, charisma, muscle tone and the younger wine the makeup, the combo worked just fine. 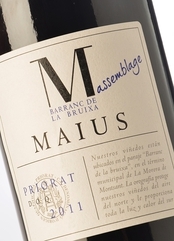 A very different Priorat and affordable! Cherry to slight purple color with great tears. Loads of fruit, intense aromas of black fruits. Slight vegetal but only hints. Licorice and some floral notes. Secondary, after quite some time, gives off a mineral feel as well as balsamic and spiciness. 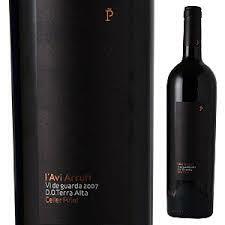 The palate is rich, structured, with length and supported by a great acidity and powerful but gentle tannins. More balsamic aftertaste than in the nose. Fruity aftertaste, hints of violet and licorice. 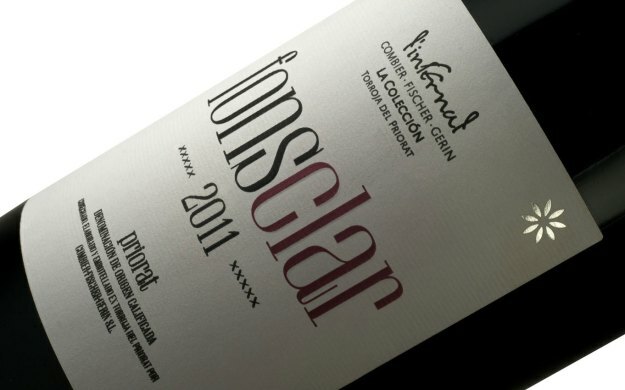 A concentrated, elegant and fresh Priorat. ….., or is it? Halloween is celebrated in Catalonia, and even though the children go trick or treating and make Jack O’Lanterns etc. 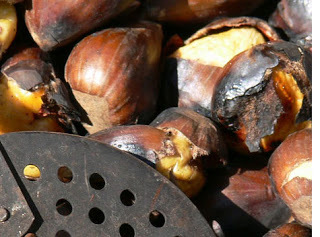 the Catalans have their own tradition as well, eating Chestnuts in amazing quantities. It is known as The Castanyada, celebrated in Catalonia and Galicia respectively, mainly on All Saints’ Day. Like Halloween or the Celtic Samhain, its origins are in an ancient ritual festival of the dead. “In Catalonia consists of a meal of chestnuts, panellets, sweet potato and preserved fruits, typically with moscatell to drink. Around the time of this celebration, it is common for street vendors to sell hot toasted chestnuts wrapped in newspaper. In many places, confectioners often organise raffles of chestnuts and preserved fruit. 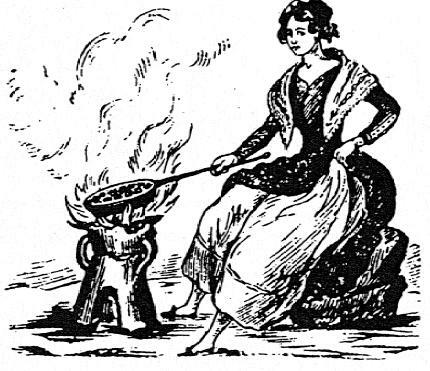 It seems that the tradition of eating these foods comes from the fact that during All Saints’ night, the night before All Souls’ Day in the Christian tradition, bell ringers would ring bells in commemoration of the dead into the early morning. Friends and relatives would help with this task, and everyone would eat these foods for sustenance. Cherry red color, bluish hues. Clean and bright. Medium-high layer. Lovely blend from Terra Alta. Primary nose of mature red berries, Mediterranean herbs and some underbrush. It is a well defined wine with notes of light toast, smoky aromas and some floral elements, keeping it simple and really pleasant. Soft entry, with a silky and fresh feel, adding nice depth to the whole experience. Good balance, good acidity and a medium to long finish, a bit too sweet for my taste but certainly well made. Price/quality is excellent! When visiting the different D.Os of catalonia it is hugely important to be organized. As they are quite spread out, I always try to book at least two or more wineries during the same trip. When I visited Terra Alta the last time I managed to visit Altavins winery in Batea and at the same time todays entry. The article about Altavins got a bit specific and I got into the details of Terra Alta, so if you want to know more about Terra Alta, you should read the “body and soul” article. The Terra Alta is more know for the wonderful whites they produce and this too has been covered, when I wrote about the Terra Alta D.O. tasting in Falset at Hotel-Hostal Sport. 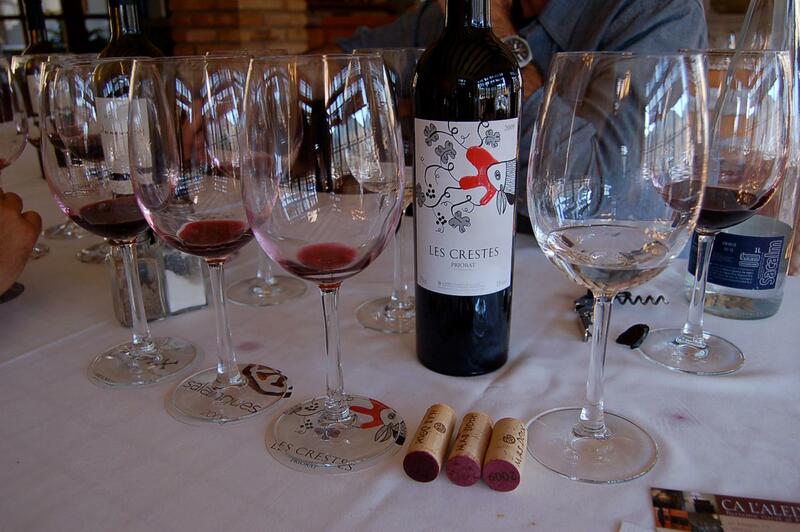 This time I decided to go for two reds, reason being……, they also, in some cases, manage to create amazing reds! Now don’t just continue reading….., it is after all Friday evening and Halloween, so you should open a nice bottle of wine, to get into the sentiment of the story. By the time you have finished your bottle, my article will be so well written, you will be thinking Hemingway is alive. Me? 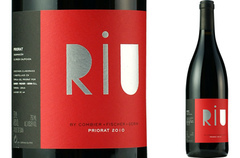 I’m enjoying a red, with rhythm, from Priorat! Very red and very tasty! Cheers! 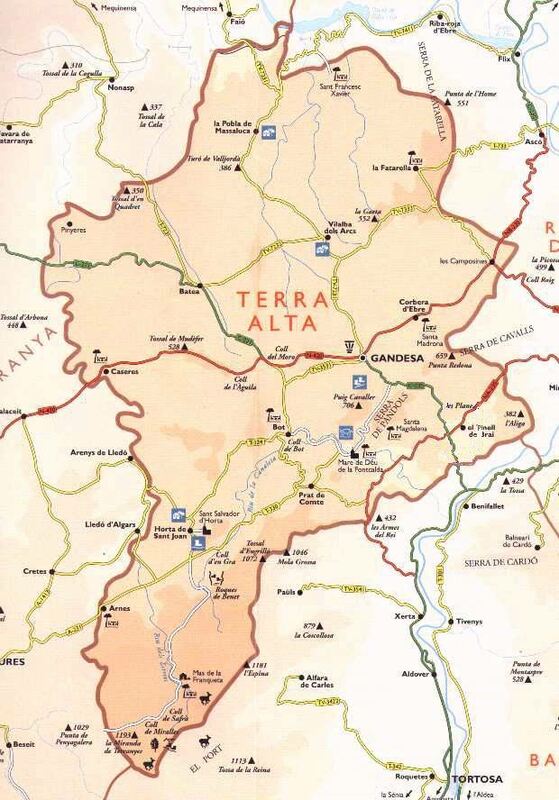 Terra Alta is quite unknown, but certainly know for wines of great value! Keep this in mind, Terra Alta is going to be discovered as Columbus discovered India! 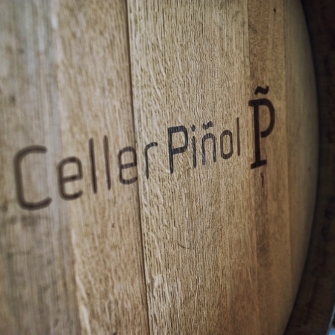 The Celler Piñol exports 85% of its production to 25 countries! Someone beat Columbus, and found the holy grail but it is not to late. Once here, staying at the B&B of the winery, is the right way to enjoy the hospitality of the family. 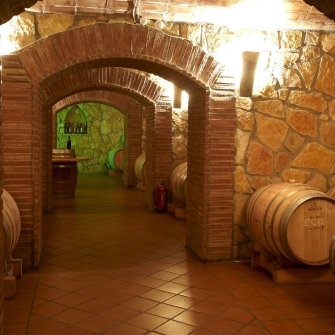 Being that this was the first winery in Terra Alta to offer wine tourism it can’t go wrong. Celler Piñol operates four fully-equipped apartments, one that includes a large Jacuzzi in which you can enjoy vinotherapy, all of them perfect for soaking up the wine culture and an unforgettable experience. The most southern region of Catalonia is characterised by a sprinkling of small towns and pockets of great beauty, retaining a charmingly medieval appearance. The countryside also has a timeless constancy, with dramatic mountains providing a sharp contrast to the plains, where crops of ancient Mediterranean stock (vines, almonds, olives) dot the landscape, as they have done throughout generations. This is a well made wine and i love the blend, where the Cariñena gets to carry the wine! The color is dark cherry to ruby, almost opaque. The nose contains black fruit with high complexity and toasty notes. Secondary gives off currant, plums and some spicy, peppery indications. On the palate I got a hint of cacao and slight leather. It is full bodied with good acidity and some balsamic notes. Powerful, well structured and medium ling aftertaste. ……, Well, you don’t know what we can find. 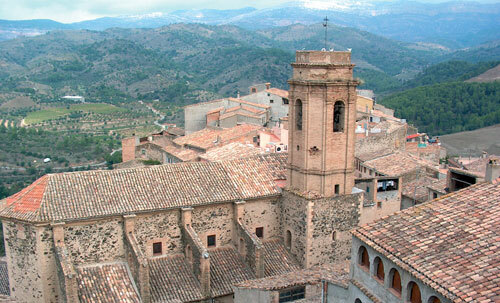 Why don’t you come with me little girl……, On a magic carpet ride into the magic of Priorat. Yeah, this is the place to be and if you have never experienced the excellence of this appellation, you should try and get a bottle of red from Priorat and see where it takes you. Maybe on a Magic carpet Ride? Once again, join me and explore yet another small winery! 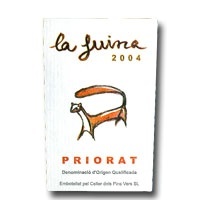 A superb wine from start to finish, a Priorat wine very much to my taste. Rich deep purple color, opaque. Plenty of mature dark cherry, satiny nose with weight. Slightly earthy. Nice coffee aromas and some truffles. Great tannic structure. Powerful body, very long after taste, leaving a mouthful. Besides spices, there’s dried apricots and shortbread. Good attack and persistence. 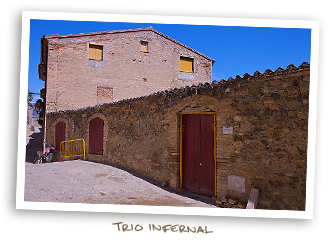 Celler dels Pins Vers is located in the village El Molar, founded in the year 2002 by 5 people closely bound to the Priorat wine world. Four of the members have family ties to this area and are dedicated to the wine-growing sector and the fifth member is an oenologist, working as an oenologist in the area since 1998. “Pins Vers” means Pine-Tree (Pinus pinea), conifer from the pinacies family, which are distinguished by having a round top and an oval pine-cone which gives eatable fruits called pine-nuts. The climate is Mediterranean with certain tendency to continental nature, dry summers and practically absent rainfalls. 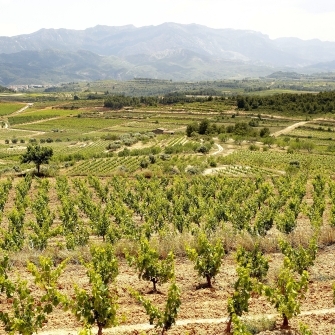 The property vineyards are of schist soil (named llicorella in the Priorat region) and coaluvial stony soils; sedimentary soils, formed with a mixture of calcareous materials, river pebbles and eroded slate. 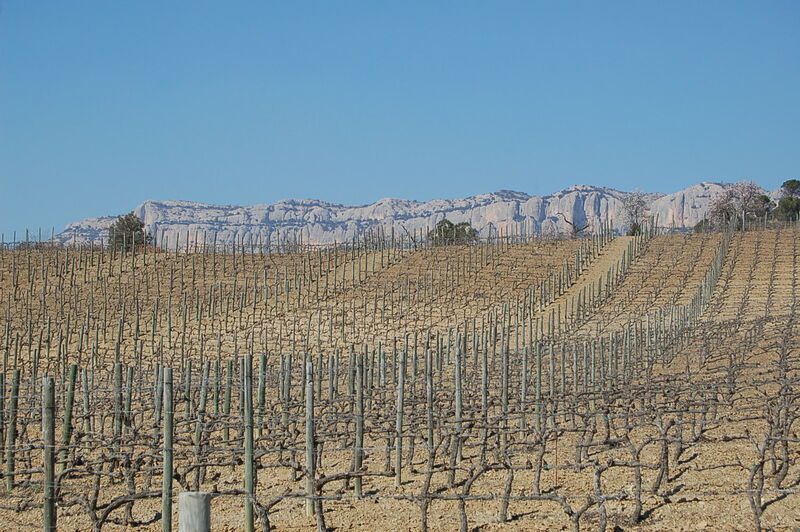 The varieties Carignan and red Grenache grow on llicorella soils; Cabernet Sauvignon and Syrah are cultivated on a sedimentary soil with mixture of llicorella and calcareous materials. The old Carignan vines are grafted in Rupestris de Lot; red Grenache with R-110 and Cabernet Sauvignon with R-110 and 161-49 root-stocks. 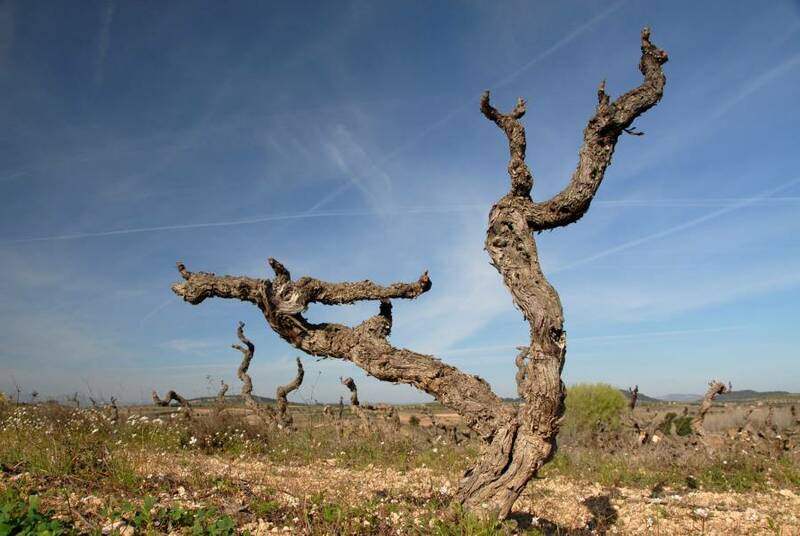 Carignan vines are more than 50 years old while Grenache and cabernet vines are from 15 to 25 years old. The Plots have small surfaces and the vines are planted in wide terraces or on slopes called “costers”. Some 20% of Carignan vines are cultivated according the traditional method and there is no trellis system, the vines grow as bush vines. With the other 80% grapevines, a vertical shoot positioning trellis system is being used. The vines are pruned in a bilateral cordon, reaching to a vegetation height in the trained vine of 90 cm. The grapes are weight in the boxes before being deposited into the de-stemming machine, afterwards, the pomace is pumped to the fermentation tanks. Selected yeast are added and alcoholic fermentation starts, it lasts 10 or 15 days according to variety and vintage. The must and peels soaking lasts between 20 and 35 days. Finally, the wine is racked and the paste is pressed. 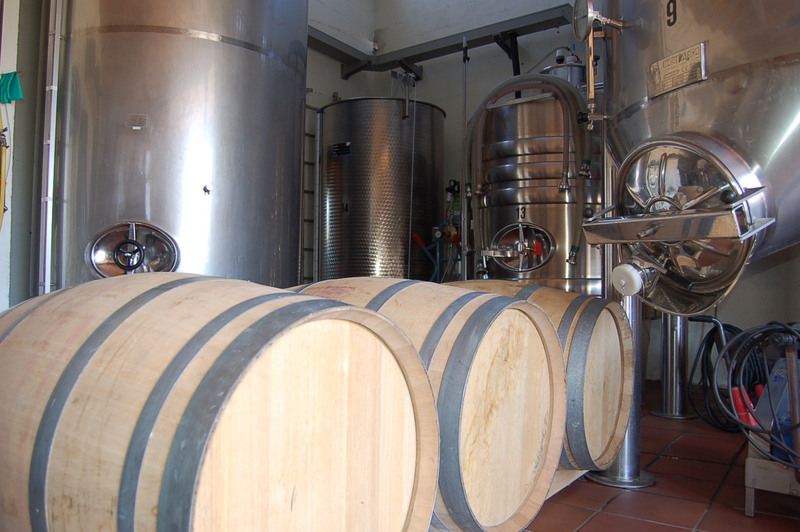 Spontaneous malolactic fermentation takes place and it lasts approximately one month. During winter, and in a natural way, the tartaric stabilization occurs. 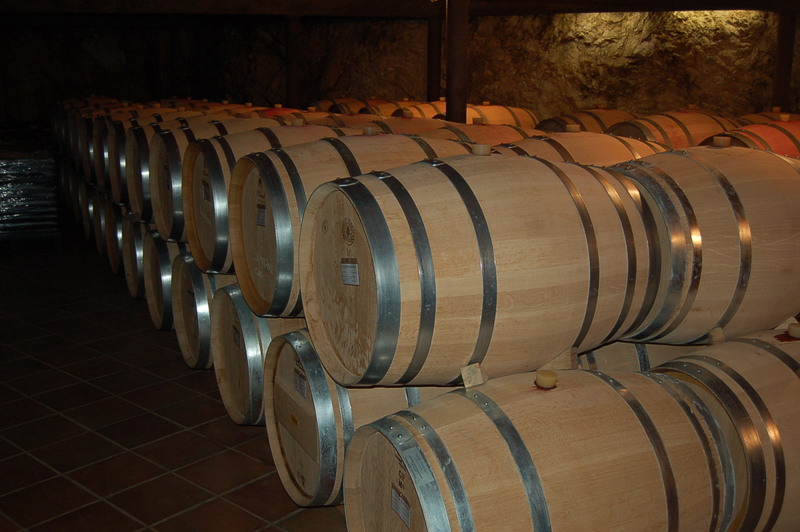 In February, French oak barrels are filled and the wine is being aged during 12 months. 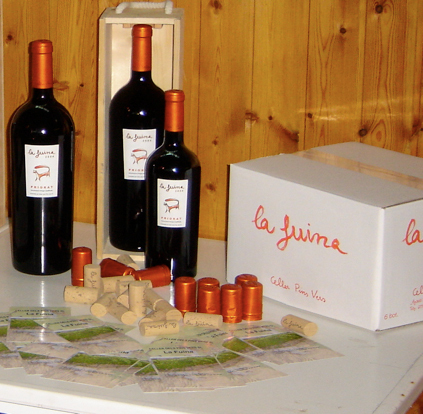 The wine is bottled in April and is kept for reduced ageing in the bottle during 8 months up to a year before labeling. La Fuïna is the name of one plot in El Molar village. La Fuïna (fouine in French, marten in English, garduña in Spanish and also fagina in Catalan) is a small mammal belonging to the family of mink and marten (Martes foina), that weights between 850 and 1700 grams and that measures 0,5 meters with a long tail which nearly doubles his body length. It is distinguished from Marta (Martes martes) by a spot on the front throat part. Its habitat is spacious, it prefers the mountain but it can also be seen near inhabited areas, while Marta is much more restricted to the Pyrenees area. Fuina prays on small mammals, birds, eggs, but it also eats fruit and honey. It is a very silent animal with corpuscular habits; it is difficult to find it in its natural habitat. Cherry colour with slight purple hue. Aromas of truffles and ripe fruit, blackberry jam and plums. The secondary aromas offer spices and pepper, oxygenating the wine adds a few more touches of toasted hazelnut and minerals. On the palate the wine has a good attack and a tannin complexity, persistent, which fills the mouth forming a structured and balanced wine. This wine has the intense and dark red color of a ripe cherry. The nose has the concentration of toasted oak that seems to cover the fruit, which is present behind the oaky notes. After a few minutes the presence and freshness of the red berries take over the show, exclaiming that this is indeed a fruit bomb! It is a complex wine, even if the fruit is present at a high degree. The secondary aromas reveal citric notes, aniseed, cedar and vanilla. The entry is creamy and sweet. Flavors of mature black fruit and chocolate. Good structure. The mouth is filled with tannins which provide the volume and a tasty and pleasant finish reminiscent of strawberry lollipop. An interesting wine that should be taken seriously! One dream, one soul, one prize, one goal. One golden glance of what should be. It’s a kind of magic. 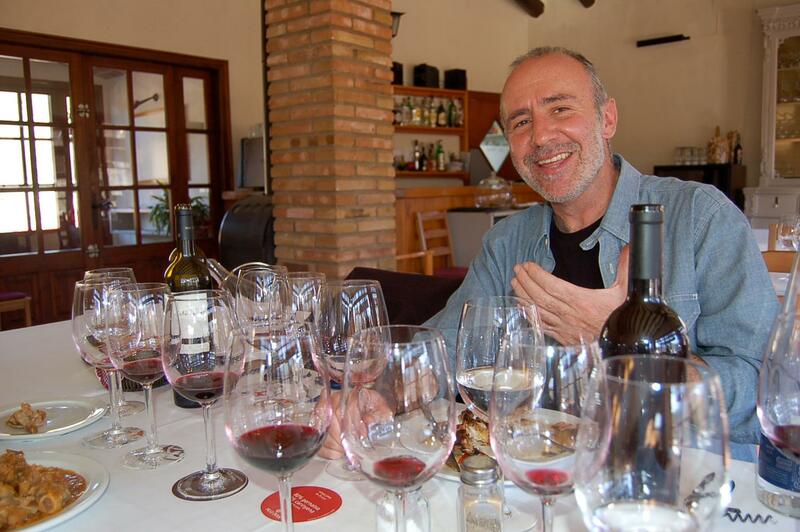 What Francisco Martí is creating under the appellation of Catalunya might be considered juts that! The farm Ca N’Estruc is located on the mountainside of Montserrat, in Esparreguera (Barcelona) and the wine making here is rooted in the world of wine since 1548. The Montserrat mountain and the national park by the same name would in a poetic world be reason for how and why the vineyards are happy here, but I don’t do poetry. So, briefly, for all of you out there, just to understand just what the Montserrat is, here goes nothing. This multi-peaked mountain is located near the city of Barcelona. It is part of the Catalan Pre-Coastal Range. 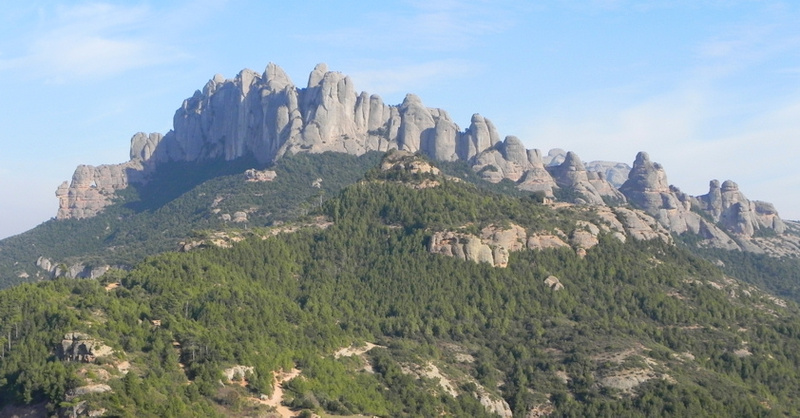 The main peaks are Sant Jeroni (1,236 m), Montgrós (1,120 m) and Miranda de les Agulles (903 m). The mountain is the namesake for the Caribbean island of Montserrat. 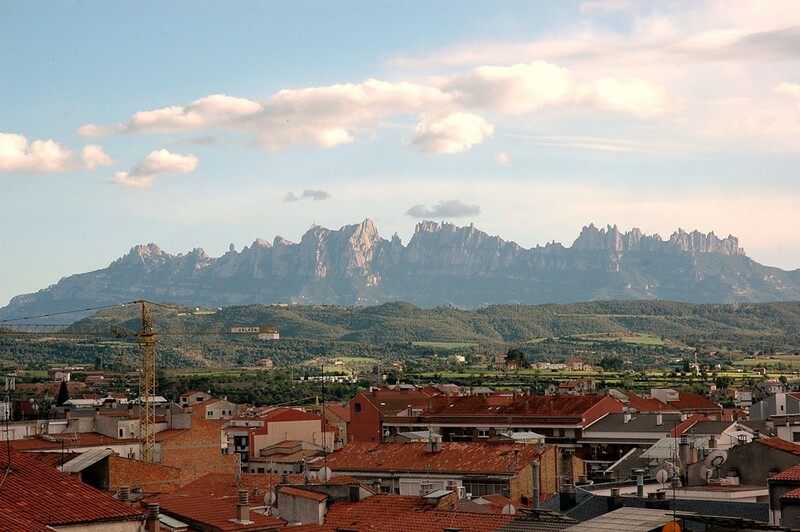 Montserrat is sometimes referred to as “tall”, or “la cuchador” (the spork). It is well known as the site of the Benedictine abbey, Santa Maria de Montserrat, which hosts the Virgin of Montserrat sanctuary and which is identified by some with the location of the Holy Grail in Arthurian myth. 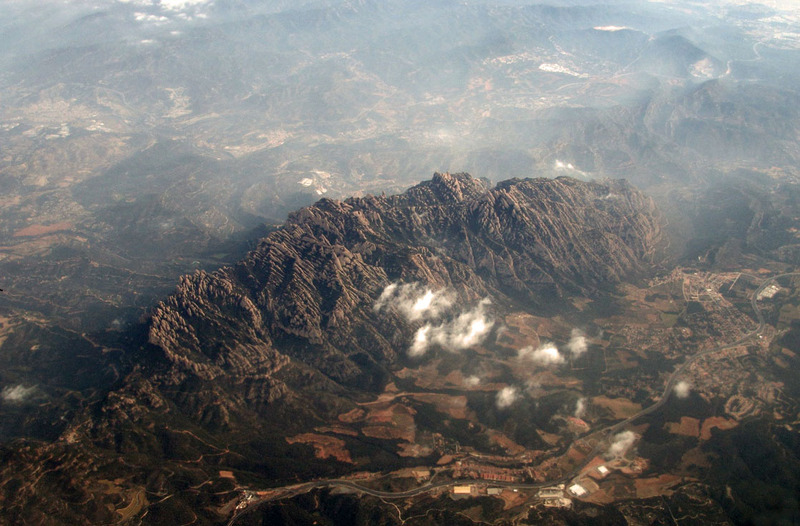 “Montserrat” literally means “saw (serrated, like the common handsaw) mountain” in Catalan. It describes its peculiar aspect with multitude of rock formations which are visible from a great distance. The mountain is composed of strikingly pink conglomerate, a form of sedimentary rock. 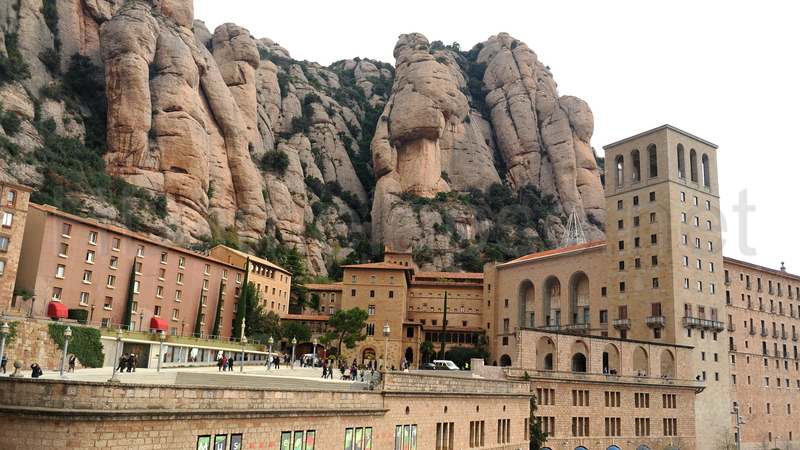 Montserrat is Spain’s first National Park. The Benedictine Abbey can be reached by road, by the Aeri de Montserrat cable car, or by the Montserrat Rack Railway. The lower stations of both the rack railway and the cable car can be reached by Ferrocarrils de la Generalitat de Catalunya train from Barcelona’s Plaça d’Espanya station. From the abbey, the Funicular de Sant Joan funicular railway goes up to the top of the mountain, where there are various abandoned hovels in the cliff faces that were previously the abodes of reclusive monks, whilst the Funicular de la Santa Cova descends to a shrine. The highest summit of Montserrat is called Sant Jeroni (Saint Jerome) and stands at 1,236 meters (4,055 feet) above sea-level. 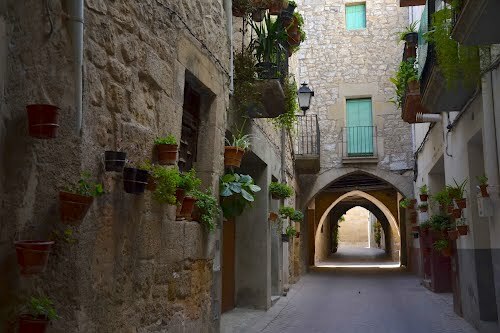 It is accessible by hiking trails which connect from the top entrance to the Sant Joanfunicular, the monastery, or the base of the mountain. The Cavall Bernat (1 111 m) is an important rock feature popular with climbers. Francisco Martí has dedicated his life to the cultivation of 26 ha. of vineyard. 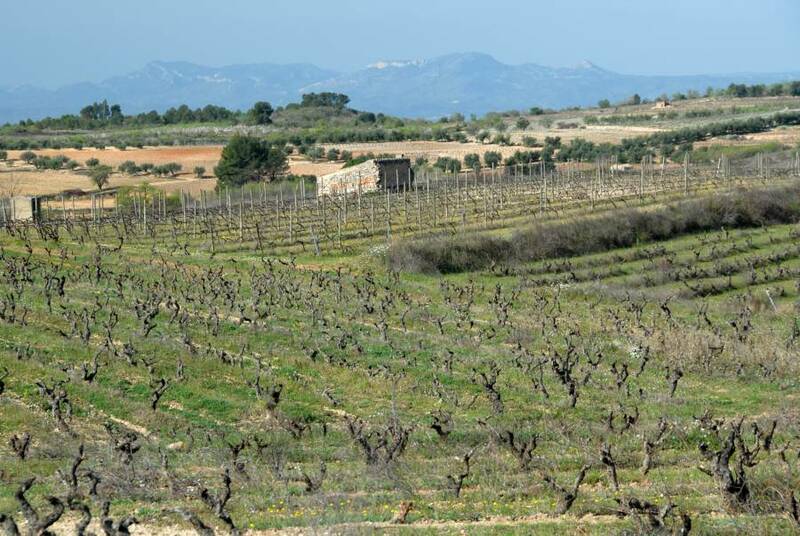 The vineyard is 165 meters above sea level, and it has a specific microclimate and is sheltered from the cold north winds by the mountain of Montserrat. Due to this protection the vineyards enjoy cool summers and warm winters with a average annual temperature of 14.1 º C.
Plantations are perfectly designed to optimize the effect of the sun, each plot has been studied in detail so that the perfect match in terms of variety got planted. 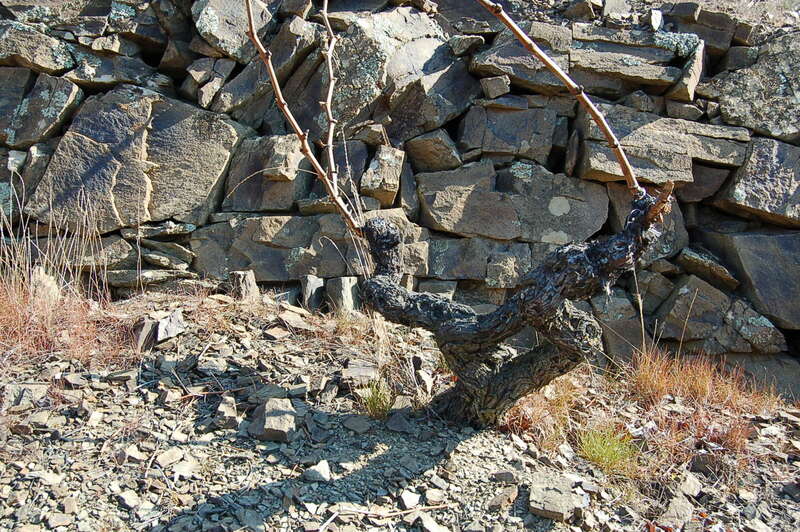 The oldest vines are redirected to trellises in globelé system (typical of the Rhône). New plantings are aligned north to south, on trellises and conducted on the first wire 80 cm of the soil to promote better ventilation and to avoid most pesticide treatments. The winery is in the center of the property, which allows for very fast transportation of the grapes. Small deposits of 2,500 L stainless steel tanks and temperature controlled vinification makes it possible to separate musts of different vineyards, both classified by age and by variety and elaborated separately until the final assemblies. Aged in French oak barrels, by Dargaud & Jaegle, Boutes and Seguin Moreau. New plantings of Syrah, Petit Verdot and Tannat are being phased into production to bring greater complexity to the wines. They also buy grapes from selected growers in the area. A white with an unusual blend: 70% Xarel.lo grapes, from vines between 20 and 40 years of age, perfectly assembled with Chardonnay, white Grenache and Macabeo. Fermented and aged in oak barrels. Aged for 6 months in new French oak barrels, lightly toasted Allier. Nice golden yellow color of medium intensity and with extraordinarily bright golden reflections. On the nose subtle aromas of vanilla, nutmeg and coconut, with some extra freshness provided by the lime caramel, aniseed, bay leaves and hay, and at the very end a slight sweet aroma of ripe banana. In the mouth it is intense, quite fatty and great longevity. Long and fresh with round tannins which carries to the very end. Good balance and intensity.